Metastock 16 is the latest version of Metastock and PDSnet is proud to bring it to South Africa! 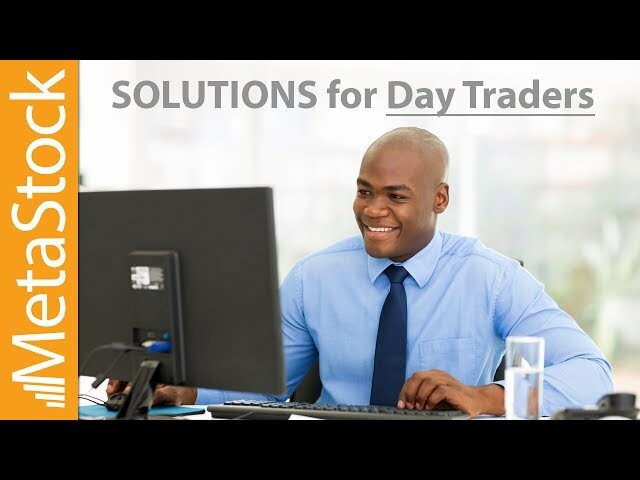 As the largest distributer of this internationally acclaimed software in South Africa, we provide a quality database of prices, an EOD download as well as support for Metastock from our offices in Bruma, Johannesburg. Check out the new features for version 16 below and contact us to sign up or upgrade! There are thousands of stocks, currencies, options, and futures out there. Moreover, there are hundreds of indicators and systems you might want to use to trade them. How do you even begin to sort through the possibilities? How do you find the winners? That's where the MetaStock Explorer comes in. Now you can use YOUR criteria to scan a universe of securities to find the ones that fit YOUR strategy. In version 16, the Explorer has been re-imagined to include a new exploration results interface. View your scan results as well as a good amount of detail on stocks after your scan has processed. Multiple charts can be opened at once and multiple scans can run at the same time. You may also keep the Explorer open while viewing your charts. The Metastock FORECASTER offers new ways to analyse trading signals and provides insight to future performance. Imagine if you had a tool that could paint a more probable, easy-to-read picture of the future? A picture based on patent-pending technology that uses any of 69 event recognisers - or your own custom patterns. A picture that helps you more precisely set profit targets and stops. That’s what you get with the MetaStock FORECASTER, the latest PowerTool available exclusively in MetaStock. The FORECASTER plots a “probability cloud” based on your selection of any of 67 event recognisers, or your own custom pattern. It uses advanced mathematics to examine the price action after these events to determine the probable performance of future events. 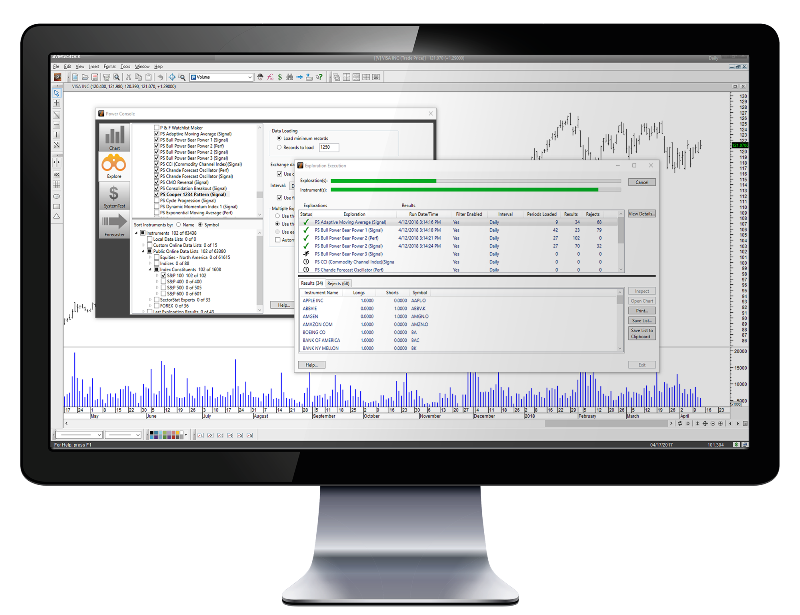 With The Enhanced System Tester, create, back-test, compare, and perfect your strategies before you risk any of your money in the markets. System testing helps answer the question, "If I had traded this security using these trading rules, how much money would I have made or lost?" The surest way to increase your confidence in a trading system is to test it historically. The Enhanced System Tester lets you take a group of stocks and compare them to a group of trading systems to find the best scenario. 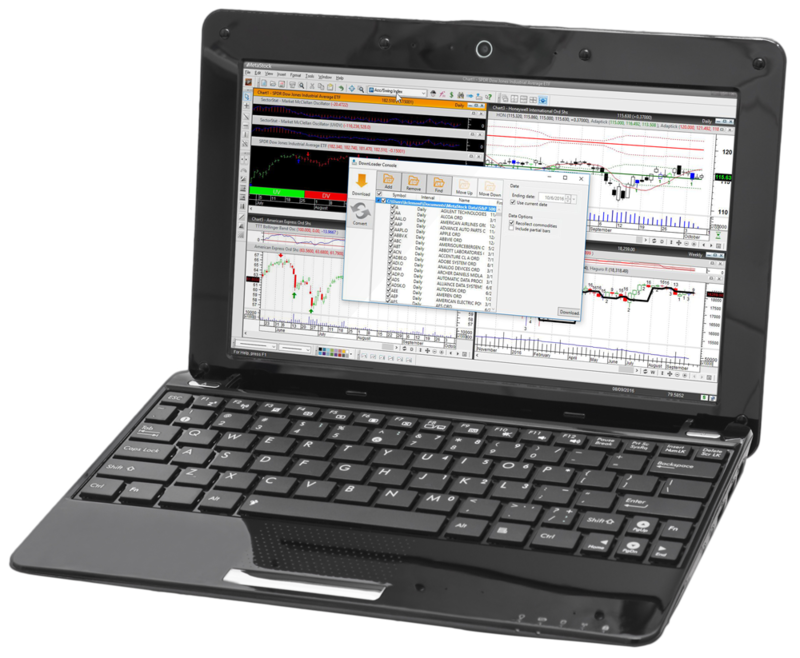 Designed to simulate real trading scenarios, the Enhanced System Tester allows you to change variables such as entry, exit, order sizes, commissions, and more. This tool gives you incredible customisation, comprehensive results, and detailed reports. MetaStock gives you nine of the most widely-used price charting styles: bars, line, candlesticks, point & figure, kagi, renko, three-line break, equivolume and candlevolume. As well as this, Page Layouts help you save time and stay organised. Save all of your on-screen charts together like pages in a book. So whenever you open your layout, the same securities appear. Templates also save you time by applying the same set of indicators and studies to different securities. Rotate through different securities while keeping the same indicators and line studies on the screen. Built-in toolbars let you easily refresh data, change periodicity, rescale the Y-Axis, zoom in & out, choose "previous" or "next security" in the open folder, and choose a security to open. The Object Oriented Interface allows you to click on an object and get an instant menu for that item. The Click and Pick/Drag and Drop features let you drag price plots, indicators, text, and lines from one chart to another. The MetaStock Expert Advisor gives you the input of industry professionals when and where you need it. Display the industry's most popular systems and charting styles with the click of a mouse. Need more info? Choose the commentary screen for specific information about the security you are charting. For example, learn what a MACD is and where the buy and sell signals occur on the chart. 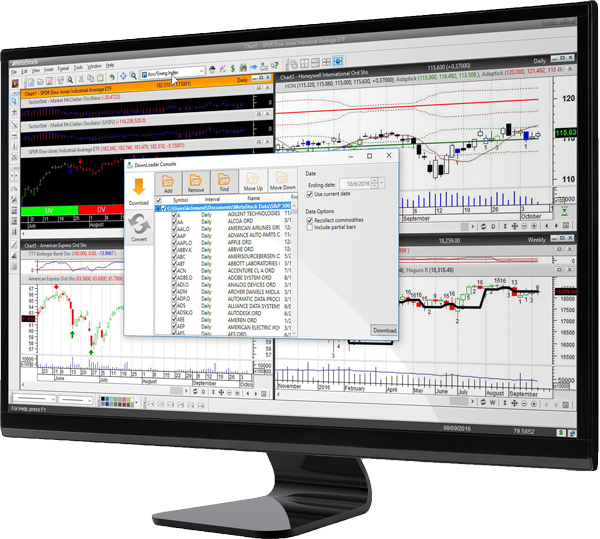 You can even create your own system using the easy-to-learn MetaStock formula language. Expert Alerts – keep you in touch with current trading conditions. Use simple price and volume alerts or complex indicator triggers and multiple condition alerts. Expert Commentary – shows you in great detail how your expert assesses the chart you are viewing. Is it a buy, sell, or hold situation? If so... Why? You get insight gained through years of research and real-world trading. Expert Symbols and Trends – Buy and sell arrows, text, or any other symbols in the MetaStock palette automatically flag special conditions, according to your criteria. Analyse the market with the insight of the most respected traders in history with MetaStock's comprehensive collection of indicators and line studies – over 150 are included. MetaStock's built-in indicator interpretations even help you understand how to trade each indicator. For advanced users, The Indicator Builder lets you write your own indicators. View the complete list here. Standard indicators use a fixed look-back period, which makes them less responsive to prevailing market conditions. MetaStock incorporates 42 Adaptive Indicators with dynamic look-back functionality based on volatility, cycle, or a combination of both. This method provides the most responsive and accurate results. MetaStock knows that many of our clients have their own ideas about what makes a great system. The MetaStock formula language is easy to learn and allows you to create just about any system you can think of. Not into programming? You can contact Metastock and submit a formula request. Quick and easy workflow in the new Explorer. Easy to find your past scan results data in the Exploration Results Report window. Workflow increase even more when using multiple monitors. Create a list with your favorite scans in them. No more hassle trying to find your most used scans. You can also run them all at once. Create a list of your favorite back testing scans and run them all against your data for maximum results. No more wasting time trying to find the indicators you use most as the system by default stores the past 20 used indicators. Local Data of charts can now be edited. New Sector Stat templates & Indicators. Dynamic tool makes drawing Support & Resistance lines far more easy. Watch this video to see what's new in Metastock 16. Please note that all prices are quoted in US$ and are nett of VAT. Quotes are calculated daily based on the rand/dollar exchange rate of the day. Quotes are valid for 1 working day. If you are using Metastock Real Time contact us for an individualised quote. Once you have purchased the software or the upgrade to Metastock 16 from us, we will supply you with a historical database going back to 1985. In order to get you setup with this, please feel free to contact our support division as they have been trained on how to seamlessly assist you in getting your software up and running. Data subscription includes historical database of prices going back to 1985. Whether you trade stocks, bonds, mutual funds, futures, commodities, FOREX, or indices, MetaStock has the tools you need for superior market analysis and financial success. Contact PDSnet for pricing and to help you get set up. For more information on this new version of Metastock contact us today by phoning our office or emailing sales@pdsnet.co.za . Alternatively, fill in the form and we will respond as soon as possible to any questions you may have.